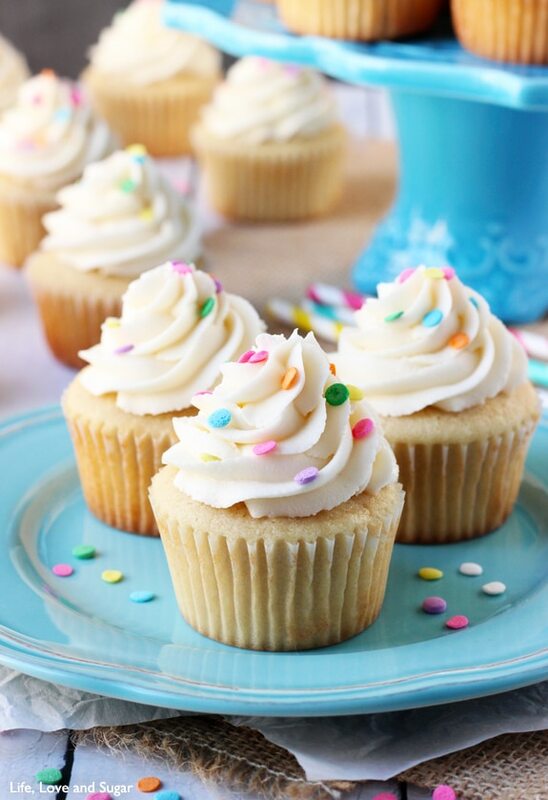 These Vanilla Cupcakes are moist, light & fluffy! 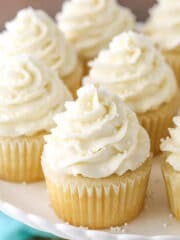 There are a couple different recipes on my site for Vanilla Cupcakes, but these are my all-time favorite classic vanilla cupcakes! So here’s the funny thing about recipes – not everyone has the same opinion about them. What makes the “perfect” vanilla cupcake for one, may not be the same for another. It’s sometimes tough, because I want a recipe that everyone loves. I’ve got my original vanilla cupcake and the new one I shared earlier this year and both are awesome! But which one is your favorite totally depends on the person. Both have rave reviews, and yet I’m still searching for that one that’s perfect for everyone. I’m not really convinced that even exists, but this is my latest installment in the vanilla cupcake wars with myself. 🙂 It’s totally a real war. I figure between these three options, surely there’s one that tickles your fancy. I have made these cupcakes over and over and over and they are always a hit. You can actually find them in various forms already on the blog and those are a hit, so I decided it was time to actually call attention to them in their full vanilla form. I like giving options, so this one should definitely be on your radar. They are a little different than both of my other vanilla cupcake recipes, so let’s chat about them a bit. 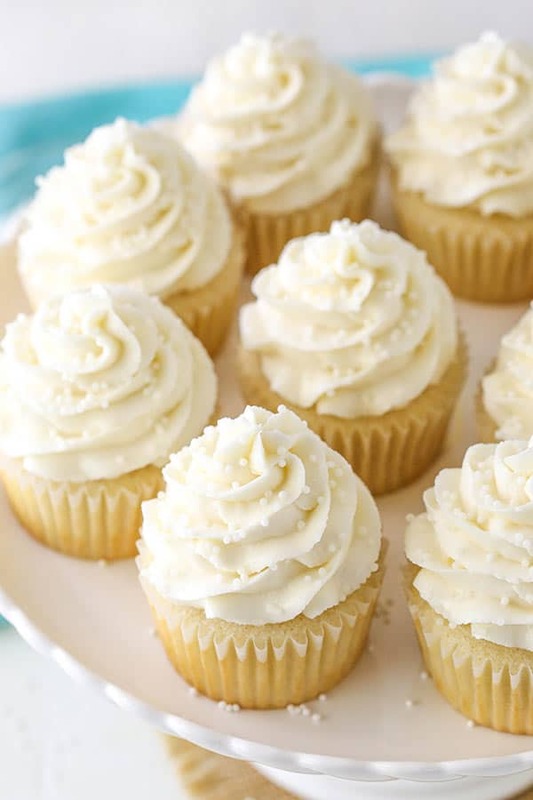 While the other cupcakes utilize a more simple method of just being able to mix all the ingredients together (also one uses oil, instead of butter), these use the more traditional method of creaming. It’s actually a very important step, because creaming the butter and sugar together adds air to the batter that helps make them wonderfully fluffy. So be sure to not skimp on the creaming time, or you’ll be disappointed by dense cupcakes. The remaining ingredients and steps are relatively straight forward. As with the other vanilla cupcake versions, the ingredients are all fairly standard ones you will hopefully have on hand. No crazy flours or anything. After creaming the butter and sugar, you’ll add a couple teaspoons of vanilla and some sour cream. Vanilla is obviously important for a good vanilla cupcake and I always love the flavor and moisture that sour cream adds to a cupcake. It’s one of those ingredients that I really do stand by. Love it. The final cupcake is super moist and fluffy and truly a favorite of mine. They are my go-to. 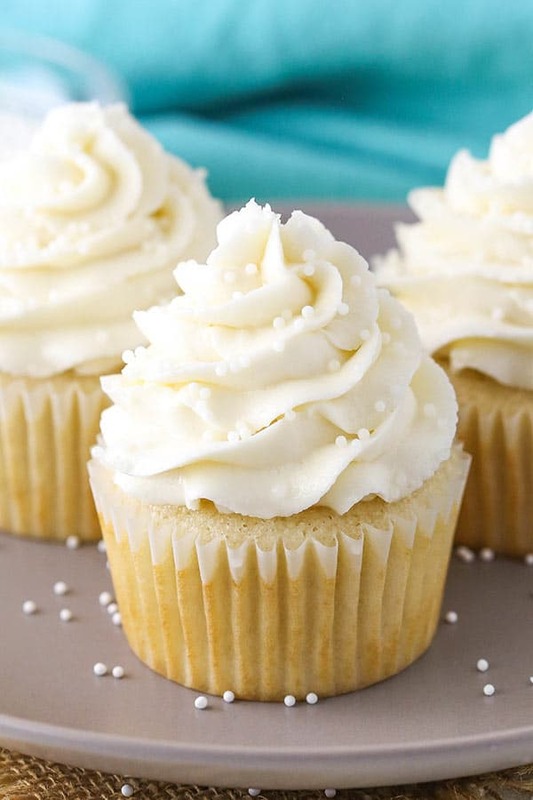 When topped with vanilla frosting (or any other flavor frosting for that matter), they are delicious and absolutely make my ideal vanilla cupcake. I hope you love these as much as we do! 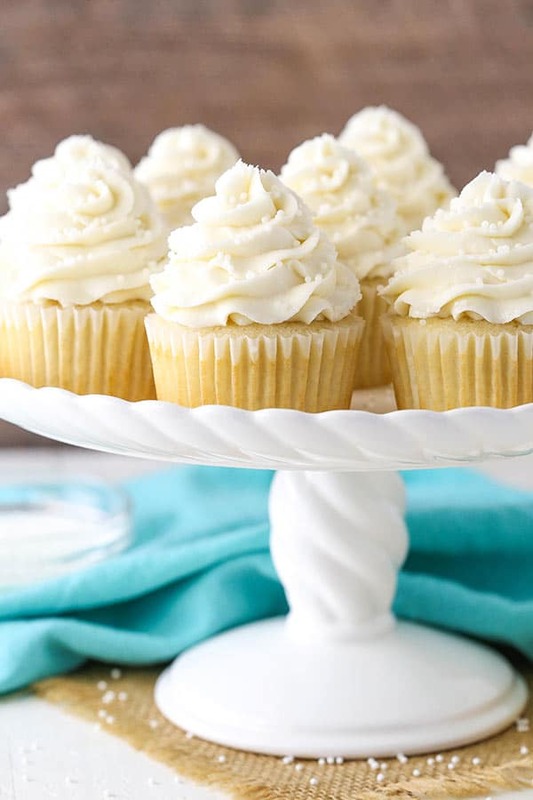 These Vanilla Cupcakes are moist, light & fluffy! If you are looking for a totally foolproof, easy & perfect classic vanilla cupcake recipe this is it! 9. While the cupcakes cool, make the frosting. Combine the butter and shortening in a large mixer bowl and mix until smooth. 10. Add 2 cups of powdered sugar and mix until smooth. 11. Add the vanilla extract and 1 tablespoon of water or milk and mix until smooth. 13. Add the remaining water or milk as needed and mix until smooth. 14. Pipe the frosting onto the cupcakes. I used Ateco tip 844. Thank you for your wonderful posts and wonderful recipes. your lovely spirit and smile! 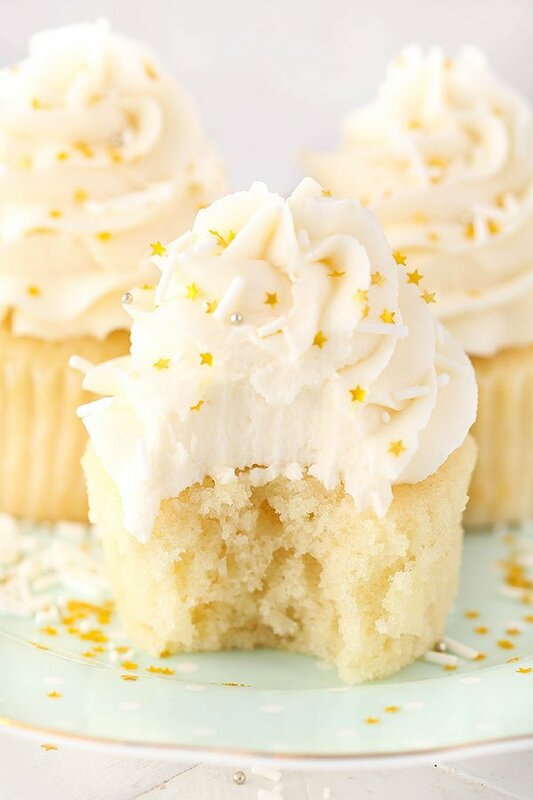 There is something so perfect about a simply perfect vanilla cupcake. You really can’t go wrong! 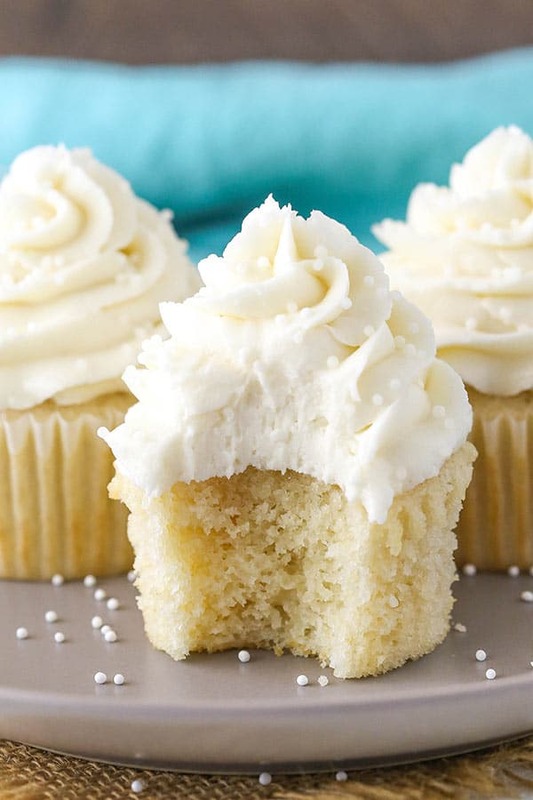 I’ve made your Moist and Fluffy Vanilla cupcakes which became a HUGE hit in my family. These look great too. I’ll definitely be giving them a try soon! Hope all is well with you!! Thank you Lindsey for the wonderful recipes, they are and look delicious! I haven’t tried it, but would think it’d be ok. 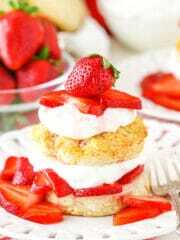 If only egg whites are used is the texture similar to angel food cake? No, angel food cake has a higher amount of egg whites. The last batch of cupcakes I made (pink champagne) I beat the egg whites to medium peaks, then folded them in. I am curious to try this method and see what the overall difference is. Thanks! Everything on your website looks and sounds delicious. This is the first time I try one of your recipes. These are now my all time favorite vanilla cupcakes! I’m so excited I finally have the best recipe! . I made half the recipe to try them out. (Since I have tried many recipes and end up throwing them away) these are the consistency and flavor I’ve been looking for. Thank you so much for sharing Lindsay! Good wishes! 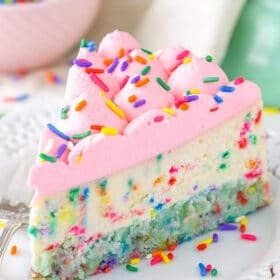 I want to know if I can use the same recipe for both vanilla cake and cupcakes to make Rainbow cake and cupcakes without adjusting any ingredients . prep, and cooking time? If so please tell me what I need to do. Also do you have a how to or tutorial videos? This recipe can be used for cake. You’d want to double it. I usually use three 8 inch pans and bake for about 21-23 minutes. It should be fine to color the batter. Double the recipe and divide into three 8 inch pans. These look really good. What Wilton tip would be like the Ateco #844? Your recipes always look yummy! The Wilton 2D would be most similar. Hi Lindsay. These cupcakes are beautiful. Wondering where you found the tiny white pearls. They look much smaller than most you see. Thank You. I think I got them from World Market. This recipe was perfectly delish! Can i use this same recipe for a cake pan and will doubling the recipe make a difference in consistency of the batter? So glad you enjoyed them! Yes, you can definitely double it for a cake. I usually make three 8 inch cake layers and bake for about 21-23 minutes. I made these to take to an outdoor concert and share with friends. 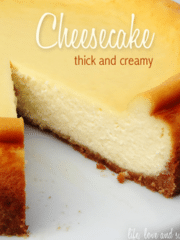 We all agreed they were really yummy….very moist and fluffy with great vanilla flavor! I did not have any left to bring home. ???????? Hi Lindsay! I really like this recipe, but I’d like to know what the shortening is, or if it is a vegetable/animal-based flat. Thank you very much! It’s a butter replacement. You can read more about why I use it here. Feel free to replace with additional butter. Since I use half butter/half shortening in my frosting, I do leave them at room temperature. If you were to use all butter, I’d probably suggest keeping them in a container in the fridge. Yes, as long as you have them covered or something so they don’t dry out, they should be fine overnight. I was trying several cupcake recipes for my daughter’s birthday and this came out as the winner. 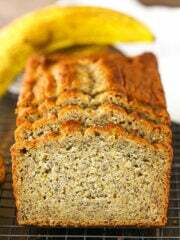 It’s soft & fluffy, very moist and light – perfect for the kids. 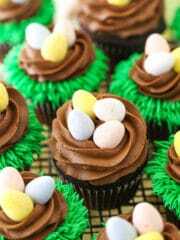 Will definitely my forever cupcake recipe till my kids stop having parties! Great cupcake. New favorite with the family. Added added cream filling and frosted with chocolate. Would these be fine as mini cupcakes? How would you adjust the cooking time? Should I spray the paper liners? Yes, they will. I believe the baking time would be roughly 6-8 minutes. As long as the liners are non-stick, you shouldn’t need to spray them. Hi, is it possible to go without the sour cream? You could replace it with additional milk. Hi. Can i use whipped whole eggs instead of egg whites? And add them at the end? Do you think it would make any difference? Also what can i substitute for sour cream? No, that most likely wouldn’t turn out (the eggs). As for the sour cream, you could try adding additional milk or yogurt. Hi, would it be best to substitute sour cream with whole milk, buttermilk, or Greek yogurt? I’d suggest milk – I use 2%. I used greek yogurt subing the sour cream. The texture of these are awesome but we all though they tasted like corn bread. ???? I was recommended this website by my friend. Can you please suggest something that can be used instead of shortening and the measurements for the same ? Yes, just use additional butter. Can I make the cupcakes a day in advance? If so, what would be the best way to store them? They look so good. I’m planning on doubling recipe and making them for my daughters first birthday and adding beet juice to make them pretty pink! ???? Yes, you can definitely make them a day ahead. I usually store them in an airtight cake carrier. I made them and they were the best cupcakes I have ever tasted! 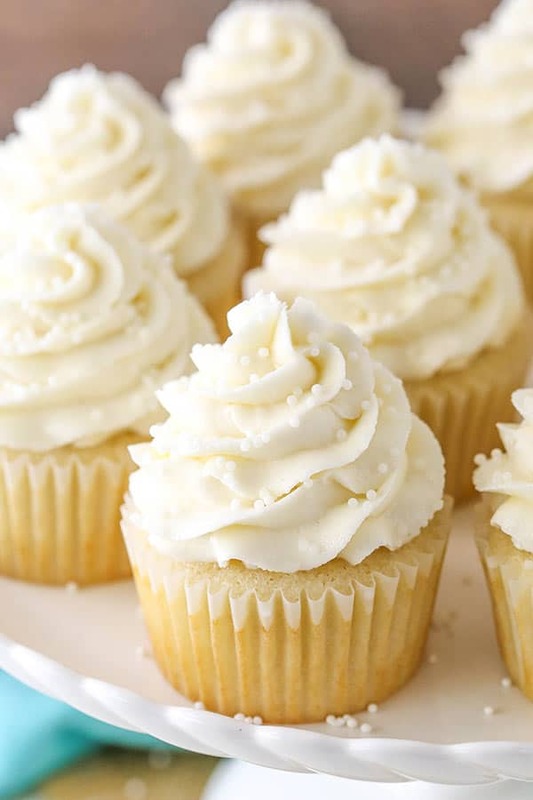 If you are looking for a yummy recipe for vanilla cupcakes I recommend this recipe because it tastes delicious and is nice and dense and filling. ???????????????? I’m curious to know what other recipes you’ve tried? Many of my layer cakes actually start with this cupcake recipe as the base, so if you’ve made other layer cakes and enjoyed them, these cupcakes should be the same. As far as trouble shooting, are you sure you fully creamed the butter and sugar? You should notice and change in color and texture and it’s important to make sure you get a fluffy cupcake. My question is .can I replace oil for butter in the cupcake recipe. I don’t think I’ve tried it with this recipe, but not sure it’d work out well. If you want an oil based cupcake, I’d try these. Between the two Vanilla Cupcakes which would be your favorite for a Birthday Party? 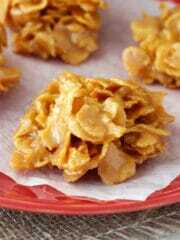 I saw this recipe and thought I should give it a try, given it’s easy to recipe and great reviews. Turns out, they were absolutely delicious! Very easy and tasty! I had no problems whatsoever and everything turned out great. Thanks for the great recipe! Is there something I can use in place of the sour cream? I am currently on PEI in Canada and the sour cream seems to be different here. You could try using some additional milk in it’s place. I just made a double batch of these amazing cupcakes. They are so moist and delicious. This recipe is a keeper, for sure! Thanks for sharing. Wonderful! Glad you enjoyed them! Possibly, I’m just not really familiar with high altitude baking. I’m sorry! Hi, is there any replacement for the sour cream? You could try yogurt or use additional milk. Made these babies last night for MY birthday using my new Kitchen Aid. These cupcakes were ahhhhhhhh-mazing!! 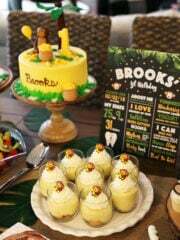 Even my husband (a die hard chocolate fan) loved them, said “the cupcakes were so good” three times! I’ll have to make a nother batch today to use up the rest of the frosting, so damn good! Thanks Lindsay! I’m a coverted fan of yours! Will it be okay to follow your recipes for my clients?? Wonderful! So glad they were such a hit! When you say “clients”, I assume you mean you bake cakes for people? Yes, that’s fine. Thanks! How many cupcakes will 1 batch of this recipe make? 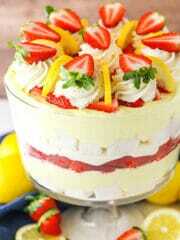 Also if I plan on using this recipe for a 3 layered 6inch cake as well how long would your bake the cake for? Thanks so much! It makes 12-14 cupcakes. As for the cake, I don’t really make 6 in cakes, so I’m not sure. 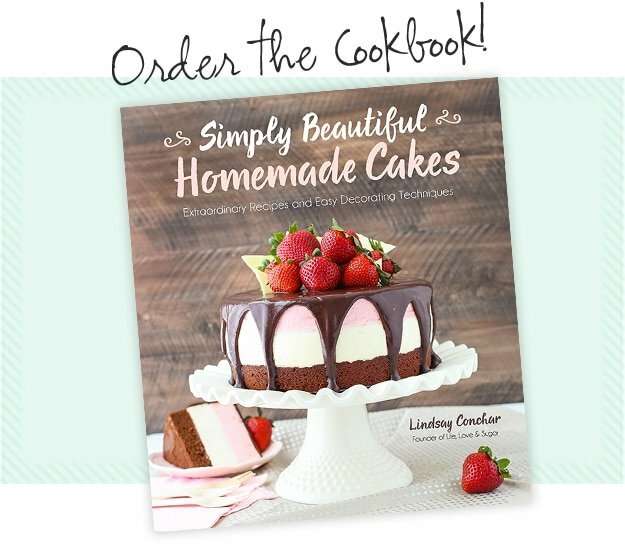 I couldnt believe it when I came across your website and all of your fabulous recipes. Wow. 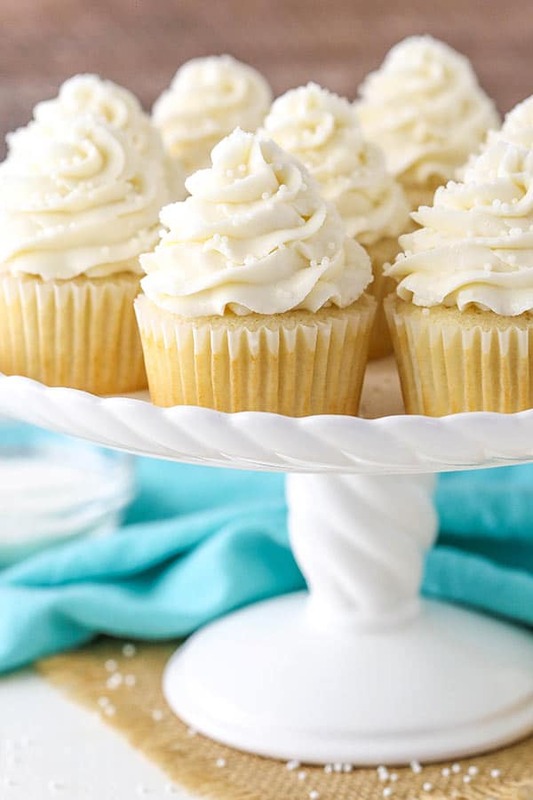 One question….are your vanilla cupcakes with the sour cream suitable for freezing (without icing of course)? Thanks Debbie! Yes, they should freeze well. I just like to make sure they are well wrapped and defrost in the fridge. Very delicious. Light in taste and texture. Hard to imagine a better white cupcake. Hey, I have made these cupcakes before so I came back to use the recipe again. But when I made them this time they did not rise and tasted like pancakes, what did I do wrong????? Hard to say from a distance. Is your baking powder still good? Did you maybe measure or mix something differently? Hello!!! I use your oil based recipe for both the chocolate and the vanilla. 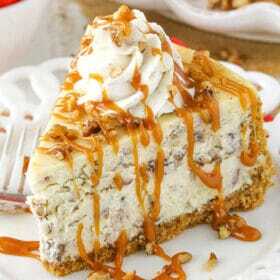 I am wondering how this recipe compares? The others are so moist and amazing and I am unsure if they can be beat lol. Just curious. Not sure I will change however…. This is the worst recipe I’ve ever tried. I followed your method and ingredients just like you wrote. So disappointed. My cupcakes cake out spongy and soggy. Hi have you ever substituted the shortening for coconut oil in the frosting. Does it ruin the consistency of the frosting? I haven’t tried it, so I can’t really advise on that. I’m sorry! 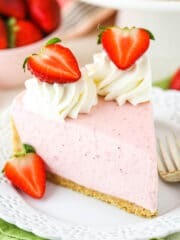 I would like to make these for the 4th of July (tomorrow), and I am assuming I need to whip the egg whites first, or can I just add them as they are to the batter? Thanks! Oops, Lindsey. I just watched the video, and hooray, I can simply add the egg whites. I am headed to the store for sour cream right now!! Thank you ???? I hope you enjoy them! Happy 4th! Hey. 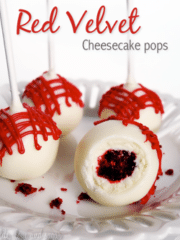 I am wondering how this recipe would pair with a chocolate marble? I am baking a couple dozen for a baby shower this week and was planning on baking about half based on this recipe for vanilla and half marble (using a half and half cupcake divider). However, I’m having trouble finding a comparable chocolate cake recipe that will be able to be baked at same temp and time as well as hopefully have a similar consistency for obvious reasons. Could I simply just split this recipe, make my one dozen all vanilla. Then make my other dozen by quartering the recipe for the vanilla and quartering for the chocolate marble by simply adding cocoa? Feel like I would probably need something else but not sure. If it’s just adding cocoa, how much for just a dozen of doing marble? I actually am going to be working on a marble cake soon, since it’s actually a little tougher to do than it would seem. Just adding cocoa powder won’t necessarily work, since often baking soda is used in chocolate and baking powder in vanilla. But in the meantime, I’d suggest this vanilla and this chocolate cake (just pay attention to the chocolate layers of cake). They are “the same” but chocolate versus vanilla. You’ll have to make the batter separately since one is baking soda and one baking powder, but the baking time and consistency issue would be right. I hope that helps! what did you use for the shortening? I used Crisco, but if you prefer not to use shortening, you can use all butter. Fantastic cupcake recipe! wanting to use the same recipe for a letter “Y” tin – do you think I would need to double the recipe? That’s so hard for me to say since I really am not familiar with that pan. WOw based off of other reviews I wanted to try these iv been baking for years and I must say this is the nastiest vanilla cupcake recipe iv ever done, wasn’t moist and had a strange taste just not for me I’ll stick to my own vanilla cupcake recipe. Hi. Would cream cheese frosting suit these cupcakes? Granulated sugar in the cupcakes and powdered sugar for the frosting. Wonderful! I’m so glad you’ve been enjoying the recipes! When I made these the tops all came out flat! Do you know what could have caused this?